Great Garage Doors & Openers in Greensburg, PA | Crosby Garage Door Co.
At Crosby Garage Door Co., garage doors applications hold no secrets for our team. Our local business, established in 1946 in Greensburg, is totally specialized in garage door and door opener applications. Our staff has a combined 50 years of experience and is well-trained in every service we provide: sales, installation, maintenance and repair. High quality and reliability are important to us and this is how we stand out from our competition. That’s why we have chosen to work with Garaga, one of the top garage door manufacturers. Their wide range of styles and colors can spruce up the look of your home or business. See our image gallery and discover numerous beautiful examples. Whether your project is residential, commercial or industrial, we can assist you in finding the garage door to meet your needs. Feel free to complete our online quotation form. Visiting our showroom is another way to see our products and become well-informed by talking with our professional team. We will be glad to assist you in making the right choice. What is the biggest moving part of your home? The answer is your garage door. To ensure the steady performance of your garage door system, your garage door opener has to be carefully chosen. At Crosby Garage Door Co., we give you proper advice regarding your specific needs – nobody’s are the same! We also exclusively work with LiftMaster, the most renowned door opener line on the market. Made by The Chamberlain Group, safety is their main focus at every stage of production. Their powerful motors, combined with industrial-strength chain drives, provide smoothness and durability year after year. Visit our door opener section to learn about their specific features. They can be installed for residential, commercial or industrial applications. At Crosby Garage Door Co., our team is well‑trained to provide first class overhead door installation and repair. We firmly believe that a top-performing door opener system depends on the installation. People often forget that cables and springs are under high tension and could cause serious injury if not handled correctly. 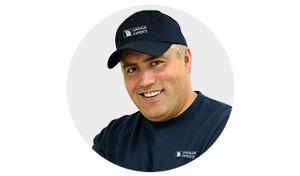 As a certified Garaga Expert Dealer, our installers have been thoroughly trained and tested. Sometimes emergency repairs are needed. To promptly resolve these situations, we provide a 24-hour service, whether for commercial, industrial or residential applications. We repair any brand such as Clopay, Wayne‑Dalton, C.H.I. or Stanley. To keep your garage door system in good order, we also offer a complete maintenance program. We serve Greensburg, Latrobe, Johnstown, and Murrysville PA and the surrounding communities. There is no job too big or too small, so call us today! Greensburg, Jeannette, Irwin, Delmont, Export, Monroeville, Murrysville, Latrobe, Ligonier, New Stanton, Penn, Youngwood and all of Westmoreland County. About Crosby Garage Door Co.
Who are we at Crosby Garage Door Co.? Your GARAGA Garage Door Specialist in the Greensburg area.